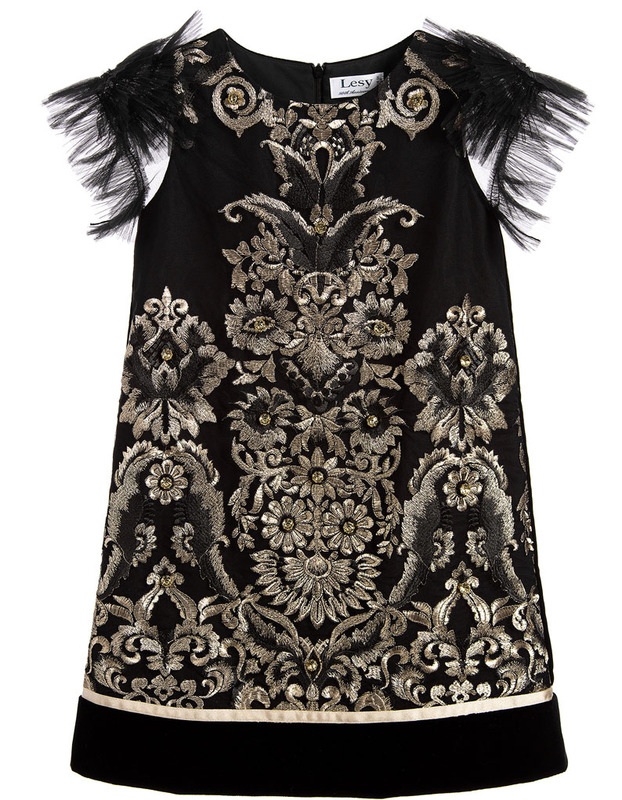 Shimmering gold and sparkling gems will ensure she makes a dramatic entrance in this handmade dresses by Lesy. The mix of luxurious textures, from the velvet bodice to the rippling golden bands, radiate breathtaking Florentine elegance that she will adore. 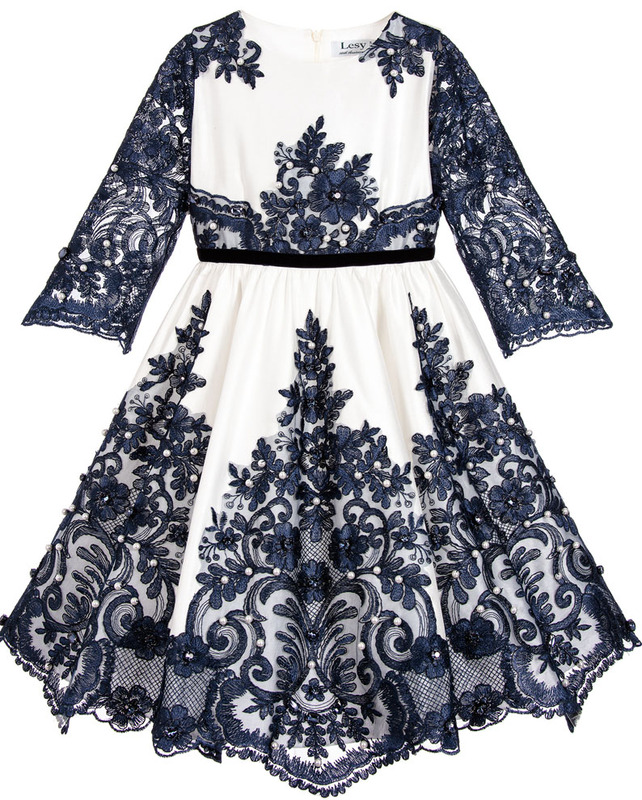 The epitome of Florentine luxury, this richly embroidered handmade dress is a captivating choice for a sophisticated girl. She will love how the gemstones catch the light and the way the dramatic tulle rosettes burst from the shoulders of this showstopping special occasion piece. 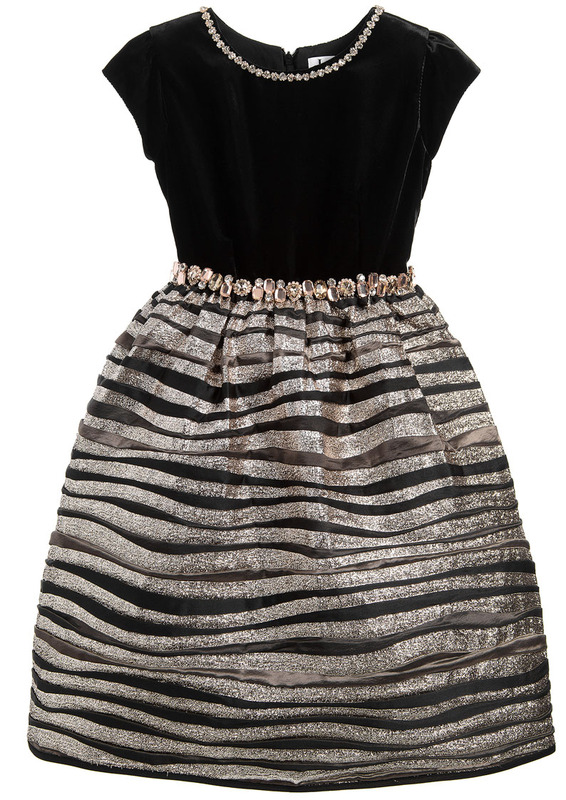 This breathtaking dress is a lovely choice for a sophisticated girl. Navy blue embroidered lace is embellished with pearls and gemstones to stunning effect, and the fabric's soft sheen radiates Florentine sophistication.